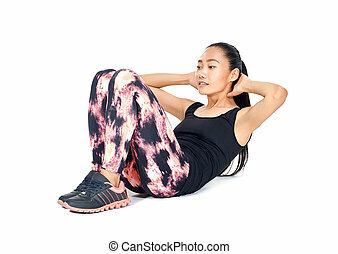 Sit-ups in gym for fitness. 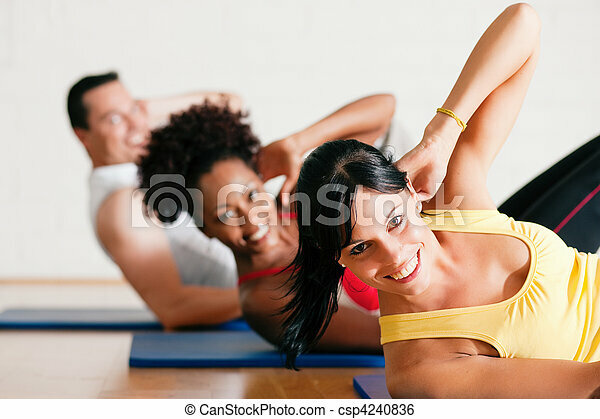 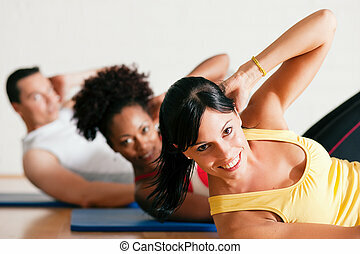 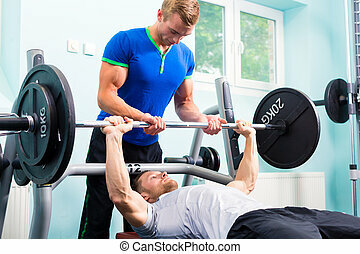 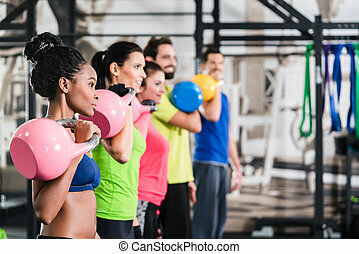 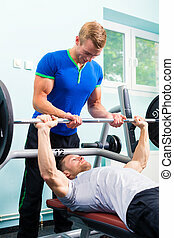 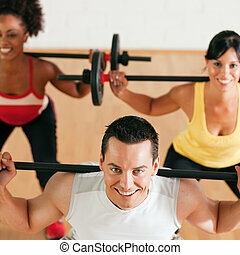 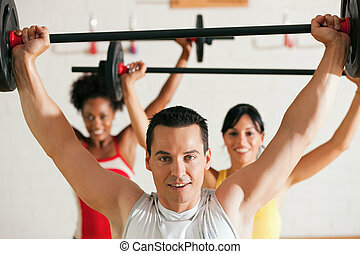 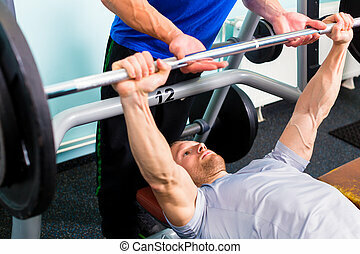 Group of three people exercising doing sit-ups in the gym for better fitness. 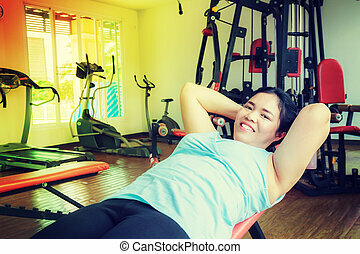 Asia fat woman sit up in the gym for strength, weight loss. 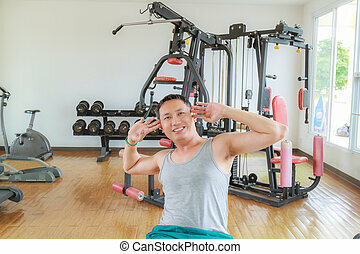 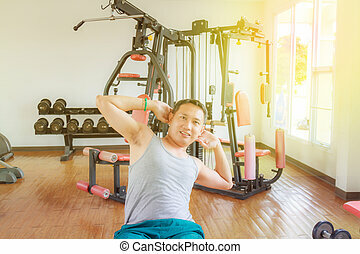 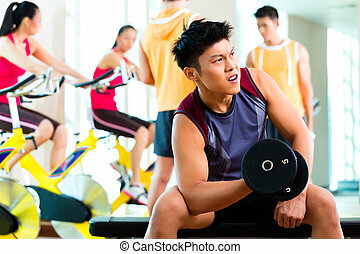 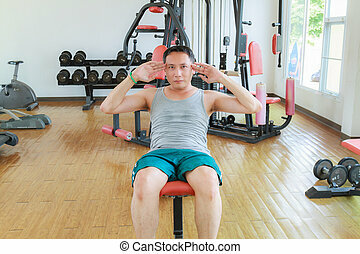 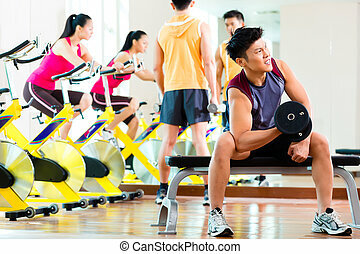 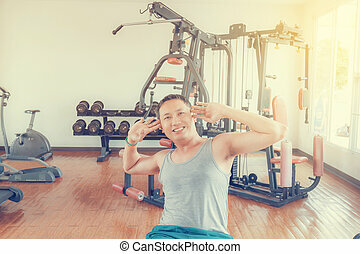 Asia man middle aged sit up in the gym for strength, weight loss. 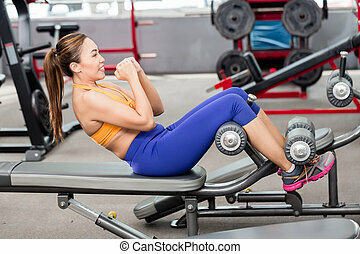 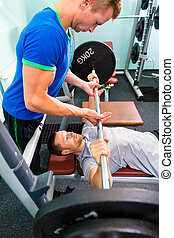 Personal trainer helping girl in leg stretching workout at gym fitness. 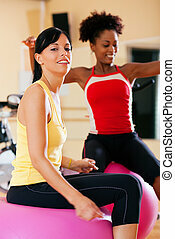 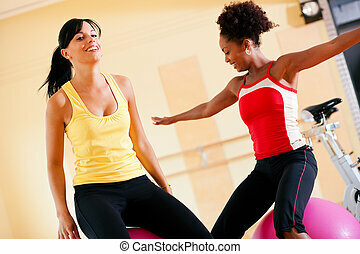 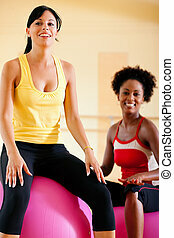 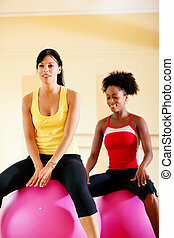 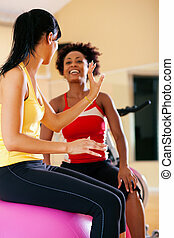 Two women working muscles back to warm up doing exercises aerobics with gymnastics for flexibility. 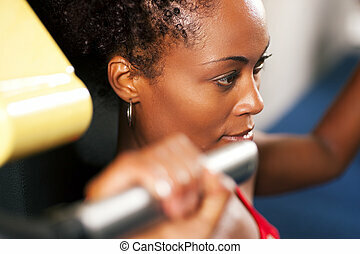 Work for your dream. 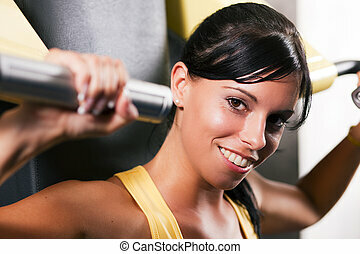 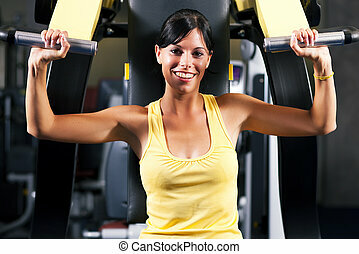 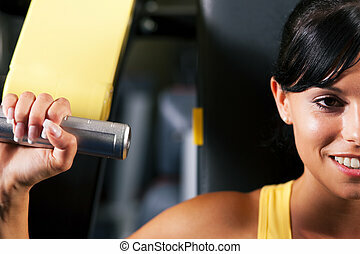 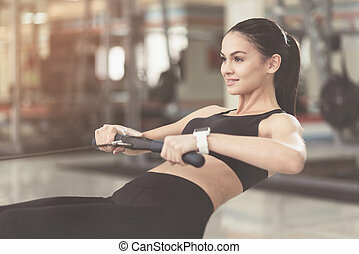 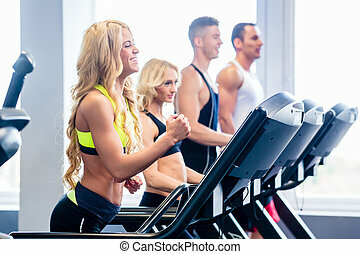 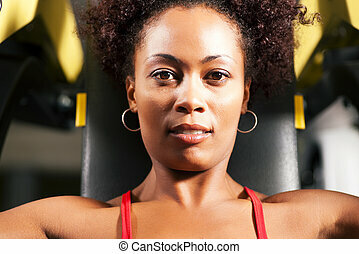 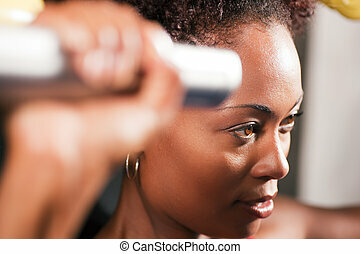 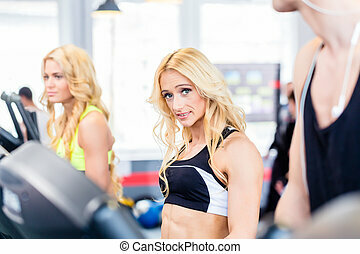 Delighted pretty active woman training hard using equipment while spending time in a gym.